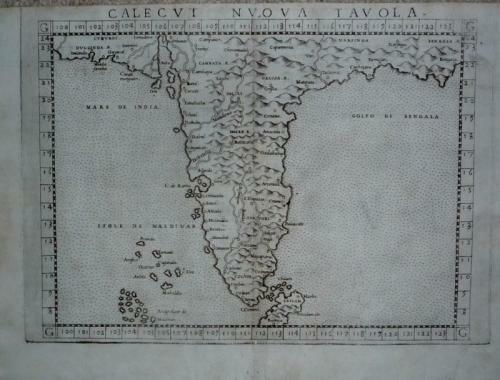 A fine early copperplate engraving and one of the first printed maps of the entire subcontinent. Many places named along the coastlines. Little is know of the interior. In very good condition with only minor toning.